Across the six islands that are home to island foxes (Habitat), pairs like Tani and Tiptu are breeding and finding an appropriate den site. Island fox pups are typically born in late April. Like all wild animals, island fox reproduction is impacted by the amount of local resources–food, water and territory. As endangered populations of island foxes have recovered, there have been several years where female foxes have had large litters of pups. Typically two pups are born in a litter, but when resources are abundant there can be as many as five pups. 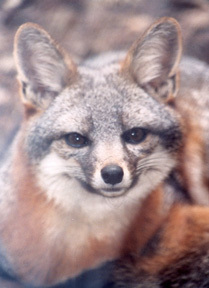 But severe climate can greatly reduce the resources available to island foxes. 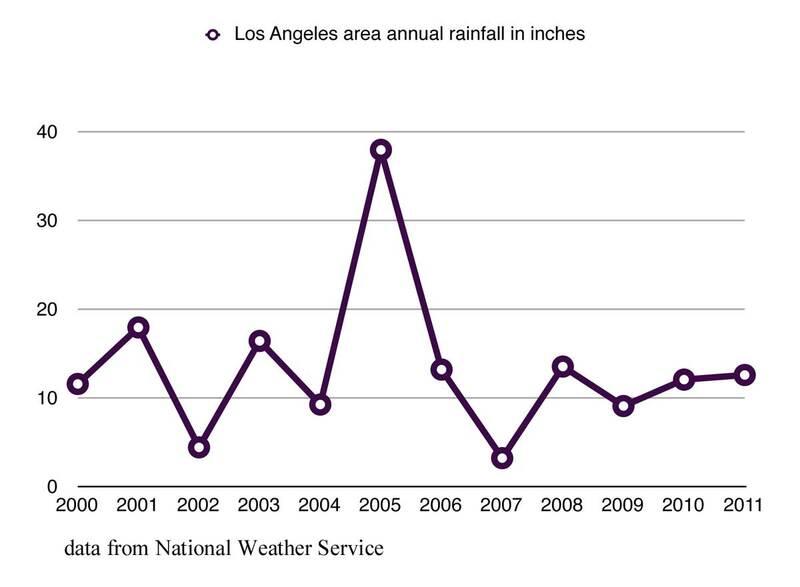 2007 was the driest year on record in southern California since National Weather Service records began in 1878; less than four inches of rain fell. The lack of rainfall reduced the plant foods on the islands which reduced the deer mice, insects and bird life. Without winter rains, the Catalina cherry, native currants, toyon and other fruit producing plants produced less fruit for the foxes to eat. Less food, meant fewer island fox pups were born or survived. 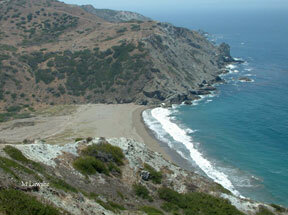 The winter seasons of 2008 - 2011 averaged approximately 12 inches of rain, the low side of normal, but still enough that Channel Island wildlife flourished. This winter season is showing early signs of drought. 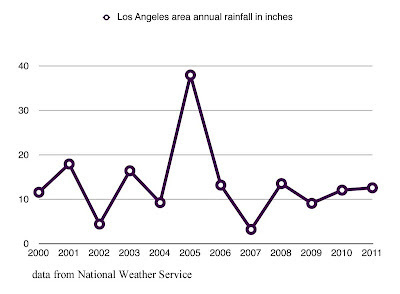 As mid-March approaches the Los Angeles area has received less than six inches of rain. This year if spring rains do not arrive, we may see fewer island foxes born and fewer that will survive. Climate fluctuations act to moderate animal and plant populations, but climate change means greater weather extremes. Drought in 2012 could make it more difficult for young island foxes like Tani to successfully reproduce and could slow down the recovery of endangered island foxes.